I Need to Get a WHAT!? Colorectal cancer is one of the most commonly diagnosed cancers in the United States. According to a study published in the New England Journal of Medicine, removing precancerous growths found during a colonoscopy can cut the risk of dying from colon cancer in half. Less than half of adults over the age of 50 have been screened, mainly because they are afraid of the test. 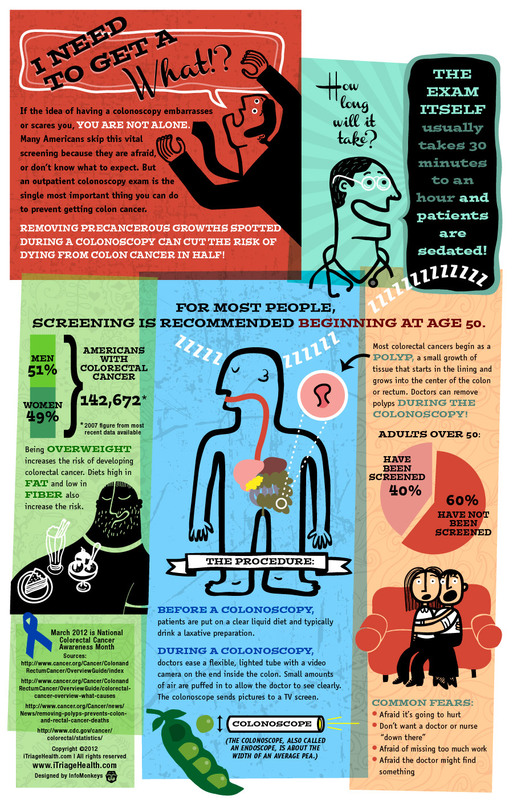 This infographic sheds light on just what happens during a colonoscopy.